They've never come back here. This visual interpretation of the consumer products that surround me reflects the unnecessary features of the products in my contemporary living-scape. I have a lot of remote controls, but use just a few buttons on each. Using pink geometric forms to represent the buttons I use, and green elements to represent the buttons that I never use, I create an abstract poster. 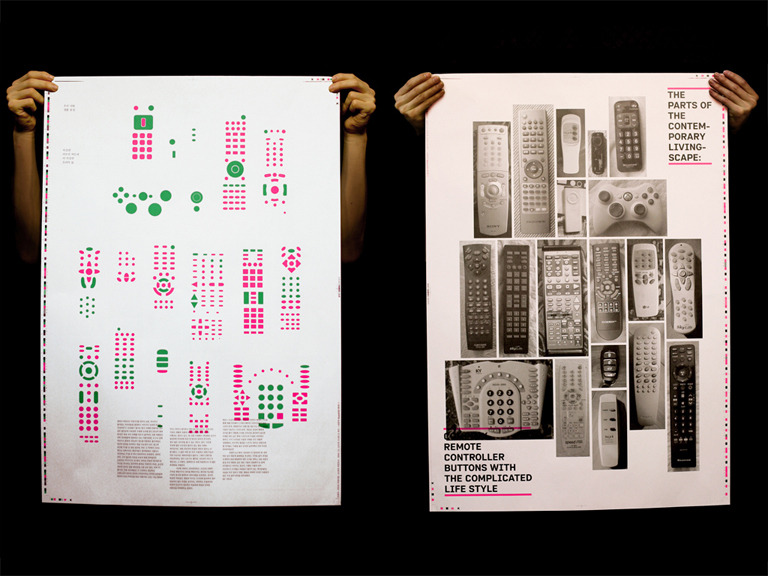 On the back side of the poster, I put pictures of the remote controls to show how the forms are created.